Sent LOR, SASE, and picture to Denny Hamlin way back on 10/28/10. 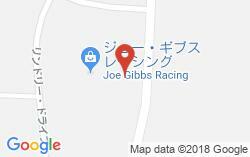 Address Used: Denny Hamlin Joe Gibbs Racing 13415 Reese Blvd. West Huntersville, NC 28078 Received picture back signed on 1/23/11. Envelope: http://img717.imageshack.us/img717/7157/img0889oa.jpg Picture/Autograph: http://img844.imageshack.us/img844/8923/img0888x.jpg This is the longest Ive waited on an autograph being returned. It took so long I had to look the guys name up because I totally forgot about it.